I have been meaning to write this for a year now. 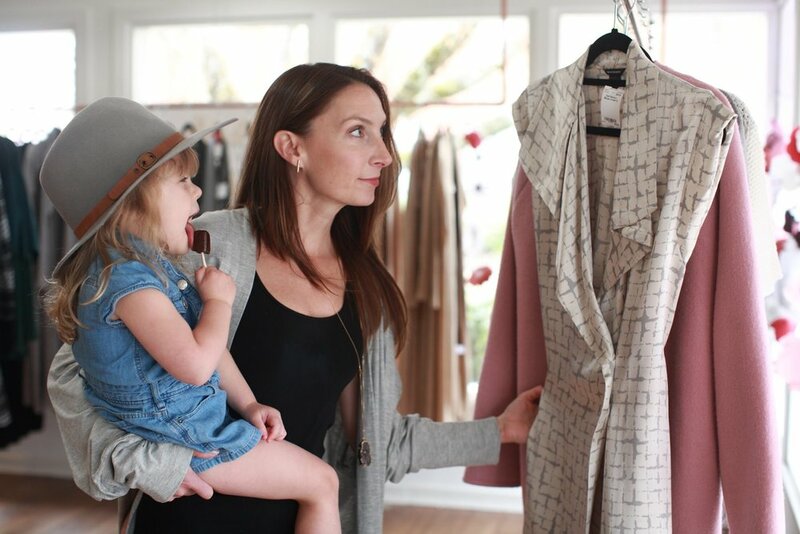 I have been studying consignment shops for the last 10 years while traveling in Phoenix, Chicago, New York City, San Francisco, Los Angeles, Seattle, Las Vegas and of course right here in Portland. Whenever I travel I always schedule a whole day of checking out the best shops in whatever city I go to. I love shopping consignment and resale so much now I've created my own city bus tours to visit the best Portland consignment and resale shops every few months. I look over everything when I go to these shops. I look in their back room, how they organize the floor layout, the type of clothing and merchandise they take in, and most importantly I study how they price. I look at their consignment terms, consignment time length, whether or not they buy outright, etc. Do they take a mix of high end and low end? How is the low end stuff priced? (Target, Gap, Old Navy, Forever 21) How are the handbags priced? I digest and store away that information, and yes I consider it a blessing that shopping is work for me. Time and time again researching other shops makes me feel more and more committed to why I started a consignment business 7 years ago. Before I opened Consign Couture I only shopped new and I knew how to find the best deals for new things. I wanted to create a shop that I would want to shop at myself. This means a lot of things in my shop are done in a way that appeals to me and draws from my own personal research. This is why people start businesses, right? To take their own creative ideas and go with them? I decided to carry a modern, timeless selection of clothing and if I had to label the store trends we follow it would be Nordstrom and Anthropologie. I wanted fresh and accessible. I did not want vintage, unless the vintage is Chanel, Gucci, Prada, and maybe a few other designers, in which case I’ll take vintage all day long. Each season I have to hone in on what is selling now, what is current and what feels timeless. I don’t love trends. I try to stay away from things that come in for a season and then are no longer current. I always go back to the words timeless, classic and modern. Once I had my standards laid out, I opened and hoped that people would come. Thankfully in St. Johns they did. I remember the first day I opened. It was a Thursday and I was so mortified, I had to close after my first customers. It felt too personal. I opened 2 days later on a Saturday for real and it went great. Now that I was open I had to create systems for 6 months later when I would have my first employee. I wanted to tell her to only take “the good cute stuff” but that kind of description doesn’t cut it. We have to get detailed and even when our manuals lay it all out there is still room for error, or questions arise. A lot of what we take depends on a mixture of studying what we've taken in the past, what has and hasn't sold, and what I personally like. 7 years later we are still working on the perfect manual that details what brands, styles and types of things we consign. Now that we have 2 locations we have to be extra descriptive on what we accept in each of those stores. Seven years ago I dreamed of opening a shop like the one we now have in Lake Oswego. Boutique feel, higher end brands, 2 computers: one for sales and one for consigning, in a neighborhood I spent part of my youth in. I was thrilled to be able to take the things I had learned over the last 7 years from opening my first consignment shop in an old converted garage and make the Lake Oswego shop a higher end version of my business plan. There is a lot of work to be done in this new location regarding honing in on our exact clientele needs while also matching what I want to see in the store. Also, and this is a new one to me: explaining how we price designer and luxury items. First, I’d like to address a really important shift in consignment in the last few years when it comes to pricing. The cliff notes are: I price based on brand, condition and style (which is what every consignment shop will tell you.) In the last few years there has been a huge shift in how easy and accessible it is to buy second hand. Offer Up, Let Go, Craigslist, buy and sell Facebook groups, Facebook Marketplace, Poshmark, Mercari, Thredup, and the original eBay are all available 24/7 for second hand shopping online. When I started my business there was only Craigslist and eBay. In my opinion, this has made it so that consignment stores have to reduce their prices. Especially when we take into account having to beat the pricing of the huge sales that department stores consistently have now and the discount retailers like TJ Maxx, Marshalls, Nordstrom Rack, and Ross. After all, we are selling used things. They may be in perfect condition and look never worn but I believe that to be competitive you have to price lower than what someone can get new. There are a few exceptions where we can elevate our prices: things that are out of production and still command a high value, certain luxury items that retain more value than others and certain other things that we know as shop owners will fly out the door at any price. I got some items in yesterday in our Lake Oswego shop that still had the tags from another local consignment shop and the prices on them were 2-4 times what we would have priced them at. I thought about this and checked The Real Real, eBay and other general internet price comparisons. One item was a floral print Diane Von Furstenberg dress (in season, good print, good condition) it came in to our shop priced at $179 from another shop. A similar DVF dress that style would cost retail on sale $179-$398 brand new. If the dress is not super current or in style but still a great brand we will take it but not price it more than $59-$89. If this dress was a maxi and a slightly different style (a more coveted current one) we could sell this dress for $100+. I have no issue with how other shops come to their pricing model (this dress was actually in one of the best shops in town previously!) This is just an example of how I go about pricing things and the reasoning behind it. Actual DVF dress we got in our Lake Oswego location. Our price is $68. My point is that there are some fantastic designer brands out there, but just because it's DVF, Max Mara, YSL, Burberry, Gucci, Prada, etc, if its a bit worn, or tired, or the style is not “in” anymore, or its just not that cute -- it won’t sell at all even if we price low. I want to emphasize that point again. There are some styles of high end designer or even well loved brands like Coach that people simply will not buy any longer. The hobo style Coach bags that were once a huge thing? We can’t even move them for $15. The brown signature “C” Coach bags we can’t move at all! This stunning Melrose handbag by Louis Vuitton came in this week. Perfect example of current luxury that can hold value. This bag was purchased 2 years ago for $2500 (we have the original receipt.) We have it priced at $1590. There is a tiny white mark on the bottom; if that was not there we would be able to sell at $1790. There is some LV that will fly out the door. This is a specialty bag and not an everyday bag and will take the right customer. I conclude with a phrase I say in the most loving way. “I may not be the right consignment shop for you." I will not push my prices on things I don’t think can and will sell within 60 days at a certain price. I understand that I am for the most part selling things that are secondhand and our pricing needs to be competitive. I also I want my customers to be happy with the deals they get in my shop. I want to sell high end things for an exceptional value and I want my consignors and my customers both to be very happy. Pleasing both parties can be tough at times. I have had little to no issues in the St. Johns shop with my pricing model. In Lake Oswego we haven't yet, but I see it coming and I want to have our elevator pitch ready. That's why I wrote this. Thank you for your continued support that allows me to live my dream. Below are a collection of photos from the St. John shop at it's start in 2011 and a few from our new Lake Oswego location.